Our Key Lock Frame range is a high specification system which is ideal for outdoor locations (laminated poster required for outdoor use). Featuring a strong extruded aluminium frame, tough plastic poster cover and a water seal to protect your printed graphics. 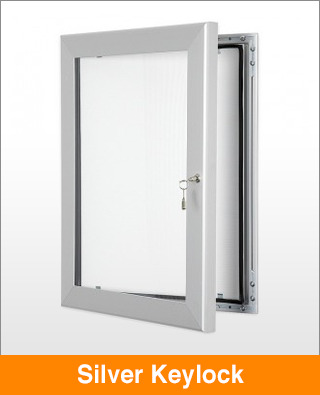 These frames are available finished in silver anodised aluminium which is highly weather resistant.